Jung DH, Chang GU, Shan L, Liu DL, Wang ZJ, Chen C, Han WW. Arch Facial Plast Surg.2010 Jul-Aug; 12(4): 257-62. (International Journal) Various Z-plasty Designs for the Treatment of Columellar Scar in Rhinoplasty. (International Journal) Subnasale Flap for Correction of Columella Base Deviation in Secondary Unilateral Cleft Lip Nasal Deformity. DongHak Jung, M.D, Ph.D, Edward S. Kwak, M.D, Han Sung Kim, M.D. New York, N.Y; ans Seoul, KoreaPlast. Reconstr. Surg. 123: 1088-95, 2009. 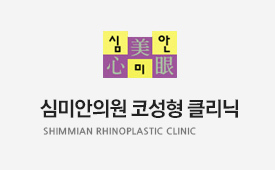 Dong Hak Jung, M.D., 1Bum Ryul Kim, M.D., 1Ji Yoon Choi, M.D., 1Young Soo Rho, M.D., 1Hyo Jin Park, M.D., 1Wade W. Han, M.D.21Seoul, South Korea; and 2Orlando, FlaPlast. Reconstr. Surg. 120: 1997, 2007. Dong-Hak Jung, M.D.,1 Levi John G. Lansangan, M.D.,1 Jong Mu Choi, M.D.,1 Tae Yeong Jang, M.D.,1 James J. Lee, M.D.2 1Seoul, Korea; and 2Englewood, N.J.Plast. Reconstr. Surg. 119: 885, 2007. Dong-Hak Jung, M.D.,1 Seung-Ho Choi, M.D.,1 Hyoung-Jin Moon, M.D., 1In-Hyuk Chung, M.D.,1 Jung-Hyuk Im, M.D.,1 and Samuel M. Lam, M.D.21Seoul, Korea; and 2Dallas, TexasPlast. Reconstr. Surg. 114: 545, 2004.